I can't remember who's blog I saw it on, but someone recommended this book. Not that I needed another home decorating book, but I bought it anyway. It arrived yesterday and I have to say that I am so happy I bought it! I love it! It is chalk full of great photos and ideas! I highly recommend it too! 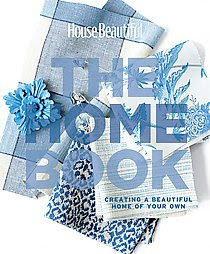 It is called "500 Sensational Ways to Create Your Ideal Home". It's a good one!